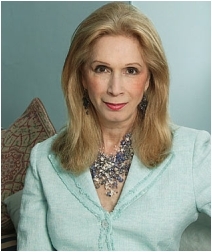 Lady Colin Campbell is a highly successful and prolific author and has been a prominent and often controversial figure in royal and social circles for many years. She perhaps is best known for her international bestselling book Diana in Private, 1992, and her subsequent extended and revelatory biography of the Princess of Wales, The Real Diana published in 2004. She has written books on the Royal Family, been a long term columnist and appeared numerous times on TV and Radio as an experienced Royal Insider and expert on the British aristocracy. In 1997 she published her autobiography, A Life Worth Living, which was serialised in The Daily Mail. Born in Jamaica, she spent much of her early adult life in America where she became a model and studied apparel design. She is connected to British royalty through common ancestors such as the Emperor Charlemagne and William the Conqueror as well as, through her marriage, to the uncle of the Duke of Argyll, who is a cousin of the Queen. She has two sons and lives in London. Her first novel, Empress Bianca, caused much public interest both in the US and UK when it was first published in 2005, in part due to Lily Safra, an extremely wealthy widow, threatening to sue the original publishers for defamation. The original publication was pulped, yet with only very minor alterations Dynasty Press was proud to publish her debut novel which dissects the intrigue and cold hearted ambition within the elite classes of 20th century international society. Daughter of Narcissus was a departure from her former oeuvre as she turned her intelligence, analysis and compassion on her own dysfunctional family and particularly the effects of living with a narcissistic mother. Her alignment of the personal, psychological and political milieu of the period was highly illuminating and showed that as a writer, she continued to develop in impressive and surprising ways. In particular, she demonstrated in this work that she did not spare herself and her family from the frankness and fearless openess which she had brought to all her other biographical works. Her latest book, The Untold Life of Queen Elizabeth The Queen Mother, was published by Dynasty in the UK and St Martin's Press in the USA on April 24th 2012 and attracted considerable press interest. (see our books page). Once more Lady Colin Campbell shows that as a writer she is not only astonishingly courageous but also extremely well informed, with an impressive roster of "well placed contacts" as People magazine has credited her, and yet again she brings penetrating insight and the empathy of a truly compassionate person to her subject, bringing the Queen Mother alive in a way that no previous writer has ever succeeded in doing. No other Royal writer has such an impressive list of revelations as she does. She was the first writer to reveal in 1992 that the Prince and Princess of Wales lead seperate lives; that Diana wanted a divorce; that both Charles and Diana had lovers; that Diana had an eating disorder; and that she believed that her body guard and former lover Barry Mannakee had been killed to silence him. Roundly reviled at the time of publication, every one of her revelations turned out to be true and People magazine credited her upon publication of her posthumous biography, The Real Diana, with having written the most believable and well informed biography that had ever been published about the Princess. Prior to the author's 1992 biography Diana in Private, the public had an entirely erroneous idea of the character and life of the Princess of Wales. Lady Colin Campbell's biography changed the public perception of Diana for all time, and is now used as a reference book in schools and colleges throughout the world owing to its accuracy. Just as how her Diana biographies and her other Royal book, The Royal Marriages (1993) have stood the test of time and proved to be revelatory ground breakers, her latest biography of the Queen Mother will doubtless change perceptions of a much reverred Royal figure whose character, personality, sacrifices and life were infinately more complex, intriguing and interesting than the superficial tale that has up to now been purveyed to the public, and in so doing has detracted from the tremendous accomplishments and fascinating true story of Queen Elizabeth The Queen Mother.